An Ecommerce development company makes your online journey faster and smoother by providing you comprehensive e commerce solutions for taking your business online. Choose your development partners that help you increase your ROI with better conversions. How to choose your eCommerce development company ? Quick and Easy Development: A reputed development partner should provide rapid and hassle free development which reduces the overall project cost and also allows you to start selling very quickly. Expertise :Your development agency should have worked for a diverse set of clients and industry verticals. This enhances their expertise on the domain and helps in finding optimized solutions..
Future Ready Technology: An eCommerce development company should be updated with the futuristic trends in technology and provide solutions that give an edge over competitors. Comprehensive Solutions: A good eCommerce development company should provide comprehensive solutions that take away the pain of finding and integrating third party partners. Affordable Pricing: A development company that considers the fund scarcity and provides affordable yet comprehensive e commerce solutions is a boon for any business. Why Choose StoreHippo as your eCommerce development Company? Advance technology gives your business a competitive edge. Improved site performance for better conversions. Flexible technology that adapts to your requirements. Improved user experience to grow and retain customer base. Pre integrated logistics and payments. Powerful marketing tools for better promotions. SEO and Social media ready stores from eCommerce development company. Built in and third party apps. Mobile ready technology gives allows you to explore m-commerce. Mobile responsive beautiful themes for stunning store design. Mobile ready Admin panel for easy business management. Android, ios and native apps to extend functionality..
Go beyond geographical boundaries with multi-lingual and multi-currency stores built by reliable eCommerce development company. Multi- Lingual stores that bring in native and global customers. Extensive customization to suit your brand requirements. Inbuilt feature for converting webstore into vertical or horizontal marketplace. Choose from world class logistics partners. Offer multiple payment channels to boost sales. Lowest rates of payment gateway commissions. Extensible solution from your eCommerce development company allows you get better ROI. Robust, bug free solution tested in live scenarios. Pre packaged solution for a variety of business conditions. Stay on platform saves you from the pain of migration as business scales up. eCommerce development company that offers affordable plans for every budget. Easy migration from one plan to the other. Enterprise solutions tailored for B2B+B2C businesses. Pre and post sales support. Need more information on the eCommerce development company for your business? Planning to open your new online store? 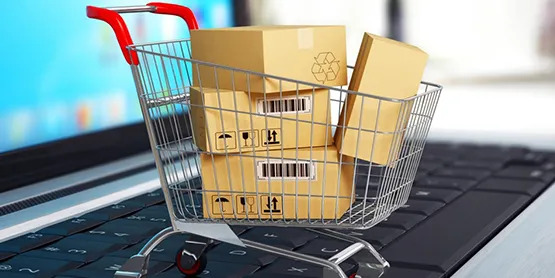 Power your business with StoreHippo’s reliable eCommerce development development expertise and give a seamless shopping experience to your customers. Let our experts explain these features to you and take you through real life success stories.